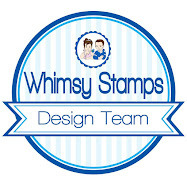 Welcome to the Whimsy Stamps January 2014 rubber stamp and die release BLOG HOP! Our brand new January release of 30 image stamps, 8 sentiment sets, 9 shapeology dies, and 1 designer paper pack is now available to buy from the Whimsy Stamps store! To celebrate our new release, the DT are holding a blog hop today to share creations made with our new release goodies and I am part of today's hop! We are hiding FOUR prizes of 2 new release rubber stamps on the DT’s blogs throughout the 5-day release event. You have until the end of the release week (Saturday January 25th at 12.00PM EST) to leave comments on ALL the daily DT blog posts. We will draw the lucky winners over the weekend and announce them here on the Whimsy blog on Monday (January 27th). To take a peek at today's fabulous new release creations, please click on the links below..
For my card today I have used Think Spring Bunnies by Crissy Armstrong. I have also used the fab-u-las Definitions Notables 7 sentiment stamp set and mounted the sentiment onto the new Circle of Hearts Die, isn’t it just so pretty?! Be sure to stop by the Whimsy blog for the full reveal of this month's release! It’s challenge day at Wild Orchid Challenge and this week it’s a photo inspiration challenge. I love the pretty spring colours. The filigree corner, cottage rose, cherry blossoms and open roses – 20mm, 15mm as well as the lace and seam binding are all from Wild Orchid Crafts. LOTV image coloured with copic markers and pencils. I think this is one of my favourite Elisabeth Bell images – Polka Dott from Whimsy Stamps. She has the sweetest little face. I dug out one of my older MME paper pads – Be Happy. I totally love the colours. I have used flowers from Wild Orchid Crafts – Cottage Rose, Cosmos Daisies, 20mm Roses, Sweetheart Blossoms and 10mm Roses. The leaves are cut from a Magnolia die. Whoop I managed to get a card done. Christmas was such a busy time for me that I have not had much of a chance to get into my craft room. So, it’s the first Wild Orchid Challenge for 2014 and this week all ya have to do us is a button. Nice and easy. I picked up this pack of Papermania paper whilst out mooching the sales (what a load of rubbish they were too!) so it was the first thing I reached for when I sat down to make this card on Saturday. Sugar Nellie’s Live Laugh Love stamp has been coloured with copics and pencils. Loving the dark colours for a change. Flowers and lace from Wild Orchid Crafts. Flowers used: Cottage Roses, 20mm roses, 15mm roses all slathered in Mercury Glass Stickles. Swirly die cuts are from Marianne Design. I have another card half finished, hope to get that up on here by mid week. January Sale and some candy! Happy new year to you all! I hope 2014 brings you all you wish for. The Wild Orchid Crafts January Sale is now on. The Wild Orchid Crafts January Sale is now on. All of their regular Mulberry Paper Flowers have 15% off, plus they’ve got some fabulous special offers this month, with up to 25% off. Visit www.wildorchidcrafts.com to grab a bargain, only while stocks last. 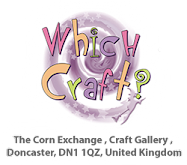 And……….Wild Orchid Crafts are offering a £20 voucher to one lucky winner so pop across tot he Wild Orchid Crafts blog to enter.